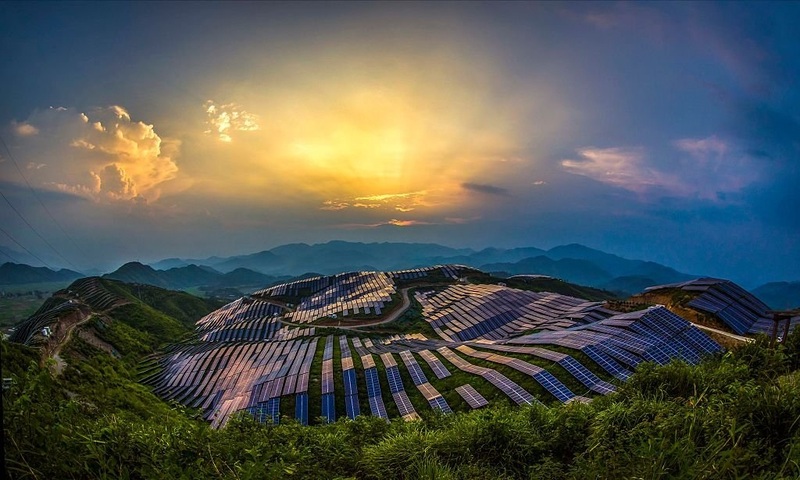 Xinyi photo-voltaic power station on August 21, 2016 in Songxi, China. 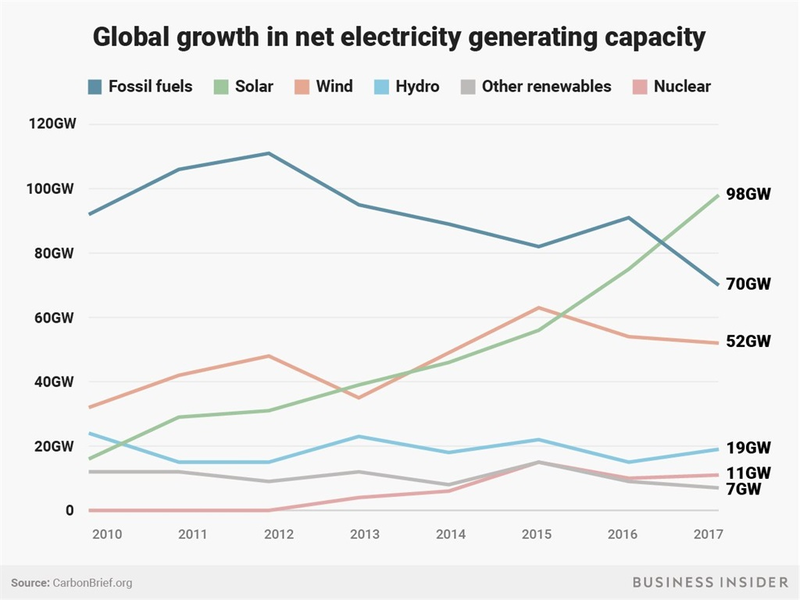 The world added more solar power capacity than fossil fuels in 2017, a sign of the sector's strength. The sector attracted $160.8 billion (R1.9 trillion) in investment in 2017. China was the biggest investor in renewable energy in 2017, sinking $126.6 billion (R153 trillion) into the industry, a 30% increase over 2016. The world added more solar power capacity than any other type of energy in 2017, outpacing all fossil fuels, according to a new report from the United Nations Environment Programme (UNEP). In 2017, solar energy attracted $160.8 billion in investment in 2017, an 18% increase over 2016. Renewable energy, including wind, hydro, and solar, supplied a record 12% of the world's energy needs, according to the report. Global investment in renewable energy held steady over last year, with over $200 billion (R2.4 trillion) invested. China was the biggest contributor, sinking $126.6 billion (R153 trillion) alone into the sector, a 30% increase over 2016, according to the report. Since 2004, the world has invested over $2.9 trillion (R35 trillion) into renewable energy.